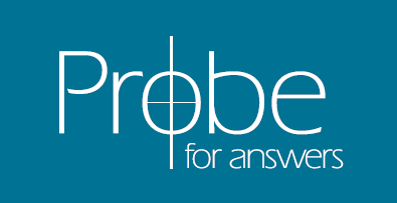 Probe’s founder Jimmy Williams, a master in classical apologetics, explores the use of apologetics in sharing the gospel. The Greek word apologia means “answer,” or “reasonable defense.” It does not mean to apologize, nor does it mean just to engage in intellectual dialogue. It means to provide reasonable answers to honest questions and to do it with humility, respect, and reverence. I think you will agree that today there are many Christians who are firmly convinced that answering the intellectual questions of unbelievers is an ineffectual waste of time. They feel that any involvement of the mind in the gospel interchange smacks too much of human effort and really just dilutes the Spirit’s work. But Christianity thrives on intelligence, not ignorance. If a real Reformation is to accompany the revival for which many of us pray, it must be something of the mind as well as the heart. It was Jesus who said, “Come and see.” He invites our scrutiny and investigation both before and after conversion. We are to love God with the mind as well as the heart and the soul. In fact, the early church was powerful and successful because it out-thought and out-loved the ancient world. We are not doing either very well today. Matthew 13:23: “But he who received the seed on the good ground is he who hears the word and understands it, who indeed bears fruit.” They all heard it, but only the “good soil” comprehended it. Romans 10:17: “So then faith comes by hearing and hearing by the word of God.” Again the emphasis is on hearing with perception. All of these words–persuasion, dialogue, discourse, dispute, argue, present evidence, reason with–are vehicles of communication and are at the heart of Paul’s classical evangelistic model. Can there be saving faith without understanding? Can there be understanding without reasoning? The Bible would appear to say no. Paul urges believers in 2 Timothy 2:15 to study to show ourselves approved unto God, workmen that need not to be ashamed. People respond to the gospel for various reasons–some out of pain or a crisis, others out of some emotional need such as loneliness, guilt, insecurity, etc. Some do so out of a fear of divine judgment. And coming to know Christ brings a process of healing and hope to the human experience. To know Christ is to find comfort for pain, acceptance for insecurity and low self-esteem, forgiveness for sin and guilt. We can see more clearly where we are as a culture by taking a good look at Paul’s world in the first century. Christianity’s early beginnings flourished in a Graeco-Roman culture more X-rated and brutal than our own. And we find Paul adapting his approach from group to group. But when Paul went to the Gentile community, he had no such expectations. There he knew he would be faced with a culture that was polytheistic (many gods), biblically ignorant, and living all kinds of perverted, wicked lifestyles. And on Mars Hill in Athens when he preached the gospel, he did somewhat modify his approach. He spoke of God more in terms of His presence and power, and he even quoted truth from a Greek poet in order to connect with these “pagans” and get his point across: “We are God’s offspring” (Acts 17:28). One hundred years ago, the vast majority of Americans pretty much reflected the Jewish mentality, believing in God, having a basic respect for the Bible, and strong convictions about what was right and what was wrong. That kind of American can still be found today in the 90s, but George Gallup says they aren’t having much of an impact on the pagan, or Gentile community, which today holds few beliefs compatible with historic Christianity. As we’re considering how we as Christians can have an impact on our increasingly fragmented society, we need to keep in mind that many do not share our Christian view of the world, and some are openly hostile to it. In fact, a college professor recently commented that he felt the greatest impediment to social progress right now was what he called the bigoted, dogmatic Christian community. That’s you and me, folks. If we could just “loosen up a little,” and compromise on some issues, America would be a happier place. What is meant by this is not just a demand for tolerance . . . but wholesale acceptance of any person’s lifestyle and personal choices! But the Bible calls us to be “salt and light” in our world. How can we be that effectively?I don’t have a total answer, but I’ll tell you after 30+ years of active ministry what isn’t working. And by my observation, far too many Christians are trying to address the horrendous issues of our day with one of three very ineffective approaches. Defensive Approach — Many Christians out there are mainly asking the question, “How strong are our defenses?” “How high are our walls?” This barricade mentality has produced much of the Christian subculture. We have our own language, literature, heroes, music, customs, and educational systems. Of course, we need places of support and fellowship. But when Paul describes spiritual warfare in 2 Corinthians 10, he actually reverses the picture. It is the enemy who is behind walls, inside strongholds of error and evil. And Paul depicts the Christians as those who should be mounting offensives at these walls to tear down the high things which have exalted themselves above the knowledge of God. We are to be taking ground, not just holding it. Defeatist Approach — Other Christians have already given up. Things are so bad, they say, that my puny efforts won’t change anything. “After all, we are living in the last days, and Jesus said that things would just get worse and worse.” This may be true, but it may not be. Jesus said no man knows the day or the hour of His coming. Martin Luther had the right idea when he said, “If Jesus were to come tomorrow, I’d plant a tree today and pay my debts.” The Lord may well be near, He could also tarry awhile. Since we don’t know for sure, we should be seeking to prepare ourselves and our children to live for Him in the microchip world of the 21st century. Devotional Approach — Other Christians are trying to say something about their faith, but sadly, they can only share their personal religious experience. It is true that Paul speaks of us as “epistles known and read” by all men. Our life/experience with Christ is a valid witness. But there are others out there in the culture with “changed” lives . . . and Jesus didn’t do the changing! Evangelism today must be something more than “swapping” experiences. We must learn how to ground our faith in the facts of history and the claims of Christ. We must have others grapple with Jesus Christ, nor just our experience. 2. Communicate with people. Engage them. Sharing the Gospel involves communication. People must be focused upon and then understand the Gospel to respond to it. It is our responsibility as Christians to make it as clear as possible for all who will listen. “Knowing, therefore, the terror of the Lord, we persuade men” (2 Cor. 5:11). 3. Relate to people. Effective witness involves not only the transmission of biblical information; it also includes establishing a relationship with the other person. Hearts, as well as heads, must meet. “So, affectionately longing for you,” said Paul to the Thessalonians, “we were well pleased to import to you not only the good news of God, but also our own lives, because you have become dear to us” (1 Thess. 2:8). 4. Remove barriers. Part of our responsibility involves having the skills to eliminate obstacles, real or imagined, which keep an individual from taking the Christian message seriously. When God sent the prophet Jeremiah forth, He said, “Behold, I have put my words in your mouth . . . and I have ordained you to pluck up and to break down, to destroy and to overthrow, to build and to plant.” Sometimes our task as well is one of “spiritual demolition,” of removing the false so the seeds of truth can take root. Apologetics sometimes serves in that capacity, of preparing a highway for God in someone’s life. • the Lord opening the heart. 6. Invite others to receive Christ. We can be clear of presentation, but ineffective because we fail to give someone the opportunity and encouragement to take that first major step of faith. “Therefore we are ambassadors for Christ, as though God were pleading through us: we beg you in Christ’s behalf, be reconciled to God” (2 Cor. 5:20).